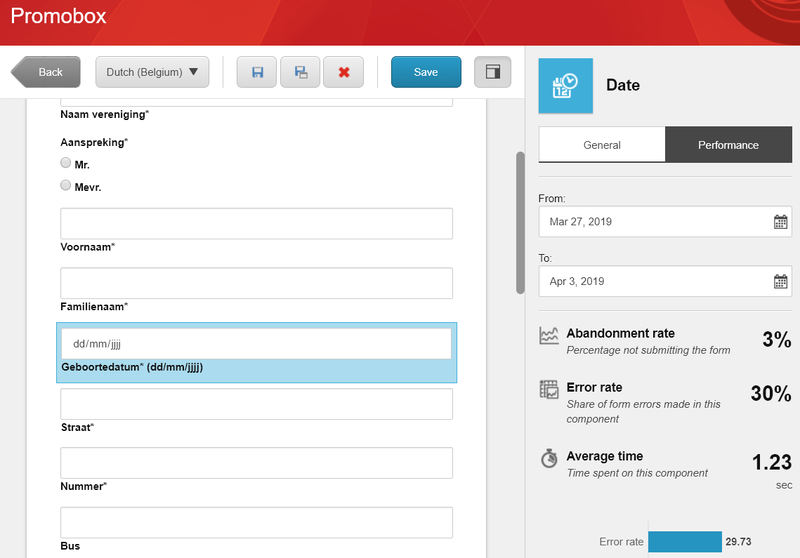 With Sitecore Forms you can easily create wizard like forms by adding multiple pages in your form. From the structure category, add additional pages onto your form. To navigate beteen the pages. Add submit buttons on the pages. On the buttons you can change the behaviour by setting the navigation step field to previous or next. Don’t want to redirect your users to a seperate page after the form was submitted? You can use the multipage form also to show an inline thank you message after submit. Just add a page in your form after the actual form containing a thank you message. On the submit button of the form set “Navigation Step” to “Next”. You can still assign submit actions on the submit button when navigation step is set to next. 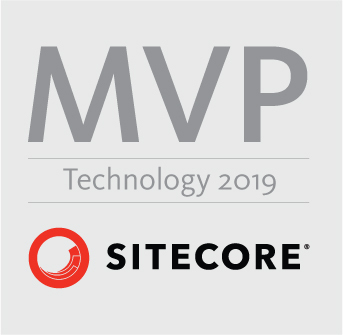 This great new feature was introduces with the release of Sitecore 9.1. Apply conditions by selecting the field and opening the conditions editor on the right. In the forms editor there is a performance tab. On this tab you gain some insights regarding the usage of your form. 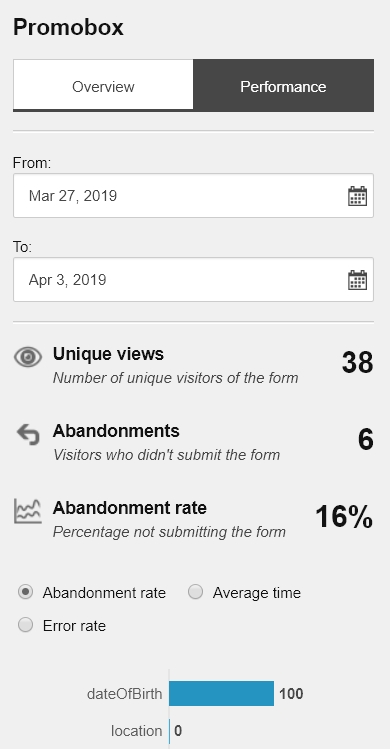 Find out how many times the form was viewed and how often it was submitted or abandoned. There is even more, each field in your form has its own performance tab. This gives you insight on the dropouts and validation errors on those components. You can spot the abandonment rate, the error rate and the average time spend on the field. 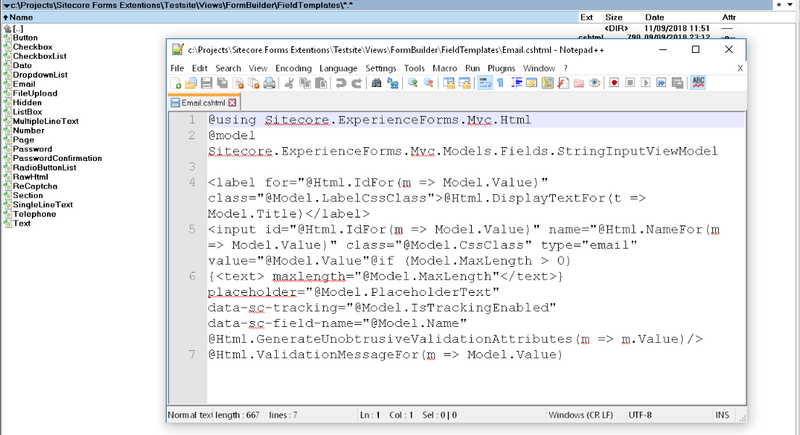 Sitecore Forms has 3 build-in submit actions to integrate with marketing automation. 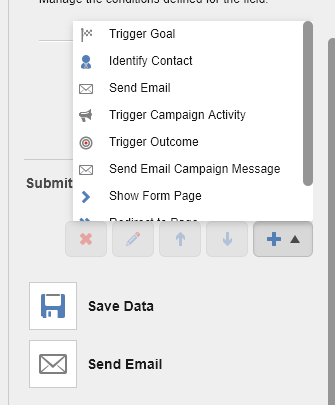 You can trigger goals, campaign activities and outcomes from a form submit. In Sitecore Content Editor, you can add additional regex validations under /sitecore/system/settings/forms/validation, create a item of the “Validation” template (or copy an existing one). Put in your own regex and error message. Assign the new validator to the controls of choice by opening them under /sitecore/system/Settings/Forms/Field Types/Basic/Email and add the validator to the item. The forms are made out of seperate components rendered by an mvc cshtml file. Those files are stored in /view/formsBuilder/FieldTemplates. You can tailor these cshtml file to your requirements. This way you can enforce certain styling or classes on the html, or adapt the entire html to fit your needs. You can create your own custom submit actions to be wired into Sitecore Forms. This is done by creating a new class extending the SubmitActionBase where you can freewheel with your own code. Once done, you just need to register your action in Sitecore under /sitecore/system/Settings/Forms/Submit Actions. Check out the Sitecore documentation for a detailed walkthrough on creating your custom submit action. 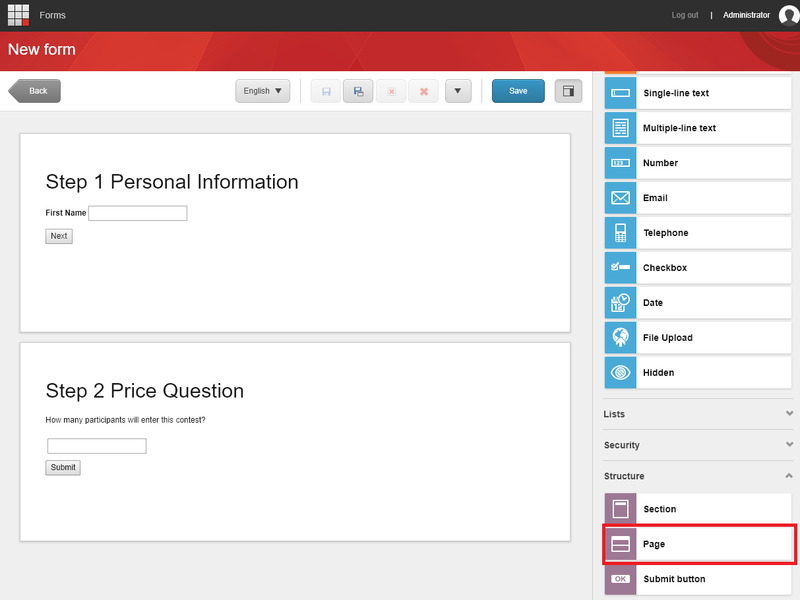 It is also possible to create custom controls or fields to put on your form. What about a captcha control, or a rich text field? It’s a bit more complicated to create than a custom submit action because you will have to brush up your Speak2 knowledge. However, it’s still a do-able task. Dive into creating a custom control using the Sitecore Documentation. Have a head start and install the Sitecore Forms Extensions module. This will add numerous custom submit actions and custom controls into your Sitecore Forms.